When most people think about a water heater, they picture a large tank that sits in their garage or closet. However, new water heaters have come out recently that are known as “tankless” water heaters. Traditional water heaters are more accurately known as tank storage water heaters. These heaters store several gallons of water in a tank and preheat this water. The heated water then remains in the tank until you need it, at which point the hot water flows out, and new water flows in to be heated. Cheaper upfront cost. Storage tank water heaters cost a lot less than tankless water heaters do. Simple and inexpensive installation. Installing a traditional water heater is a fairly simple process – especially if you’re just replacing your already-existing water tank. To replace a water tank with a tankless water heater may require that you reroute or replace wiring and that you reroute gas lines. Emergency water supply. If you lose power, you still have some hot water on hand when you have a storage water tank. This preheated store of water can help you get by until power is restored to your home. Not energy efficient. Traditional water heaters produce “standby loss,” which is the energy they waste by keeping water preheated when you don’t need it. You may run out of hot water. When four people in the household all have to take showers in the morning, there’s a good chance that the fourth person will be stuck with a cold shower. Water tanks store a lot of hot water which is available for use at any time, but if you use up all of the stored hot water, you have to wait for a whole new tank’s-worth of hot water to heat up. Tankless water heaters are less common and less known about than traditional storage tank water heaters are. Instead of heating a tank of water, tankless water heaters warm up water directly as it flows through. Cold water gets brought in through a pipe, goes past the electric or gas heating element, and flows to your faucet as hot water. 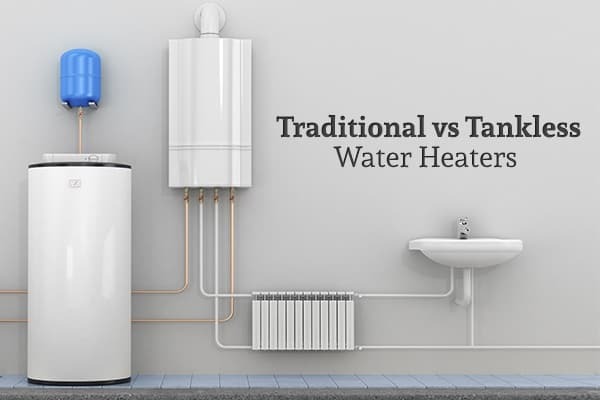 Since tankless water heaters generally get hot water to you faster than storage tank versions do, they’re also known as instantaneous or demand water heaters. Better energy efficiency. Since tankless water heaters don’t heat the water until you need it, they don’t produce standby loss like traditional water heaters do. Demand water heaters are much more eco-friendly and can save you a lot of money on your utility bills. Space saving. Demand water heaters are very small. You have a lot more options for their placement, and they won’t take up much room anywhere. Expensive equipment. Tankless water heaters usually cost a good bit more than storage tank water heaters do. High installation costs. Demand water heaters cost more to install. If you currently have a traditional water heater, then the cost goes up even more. You may need pipes moved, wires rerouted, or other extensive work done to your home in order to accommodate a tankless unit. So in the end, neither type of water heater is flat out “better” than the other; it all depends on your situation. If you want a quick and easy replacement for your current storage tank water heater, then another storage tank is likely the better option. If on-demand hot water, low energy costs, and a long lifespan for equipment are all important to you, then tankless may be the way to go. 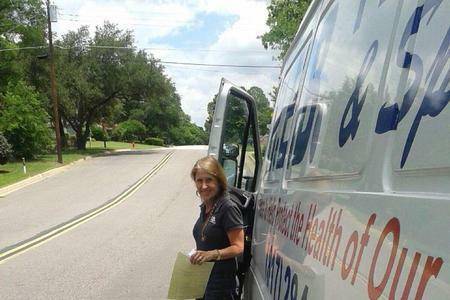 When it’s time for you to get your water heater installed or replaced, contact HEB Plumbing & Sprinkler. They’ll help you choose between tankless and traditional, and then install a heater in your home that best meets your needs.